in 2015 died without passing over Lower Granite Dam. Northwest environmental groups called on the U.S. Army Corps of Engineers to develop a list of emergency actions that would prevent high water temperatures that caused the massive die-offs of salmon last summer as adult fish migrated through Columbia and Snake river dams and reservoirs. Columbia Riverkeepers and Snake River Waterkeepers, among 14 groups, sent a letter in February to Colonel Jose Augilar, the Corps' Commander of the Northwestern Division in Portland, saying that the warming of the Corps' dams and reservoirs last summer created "impassable temperature barriers for adult salmon migrating upriver." "Summer 2015 was a disaster for salmon -- and a disturbing glimpse at the possible future of Columbia and Snake River fisheries," the letter says. The groups called on the Corps to identify "emergency measures to prevent future fish kills of adult salmon and steelhead due to hot water." Responding to the groups in a March 16 letter, the Corps' David Ponganis, Director, Programs, wrote that the Corps, Idaho Department of Fish and Game and NOAA Fisheries are working on an after-season report for 2015 that reviews the conditions and considers "opportunities to address similar conditions in the future." The report, Ponganis said, will look at the flows and temperature in the migration corridor above and below the Corps' Lower Granite Dam, including those conditions at Little Goose Dam that contributed to poor passage of sockeye salmon through the dams. "The 2015 Report will also include a discussion of potential actions that may help facilitate and improve adult passage at Corps dams in the event of extreme environmental conditions, such as those that arose in 2015," the Corps letter said. That 2015 assessment is in process, Ponganis wrote. 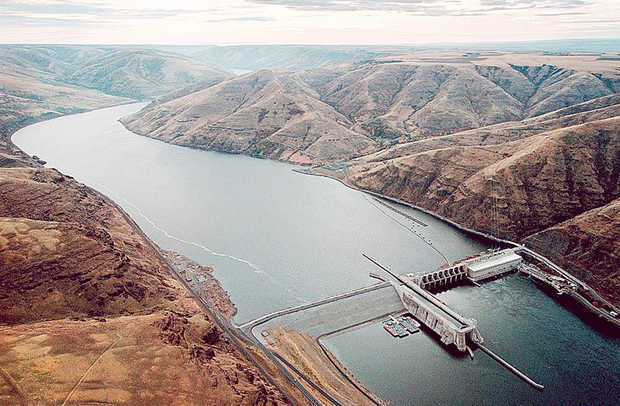 Once it is compiled, it will need to go through a regional review by the Technical Management Team and the Regional Technical Forum as well as by others that participate in the regional coordination process under the 2014 Federal Columbia River Power System Biological Opinion. The 2015 report will also be shared with the Northwest Power and Conservation Council at the April NPPC meeting, April 12-13. According to the letter to the Corps penned by the environmental groups, reports emerged in July that more than 250,000 sockeye returning from the ocean had died as a result of high water temperatures in the Columbia and Snake rivers. In the Snake River, some 96 percent of returning ESA-listed Snake River sockeye died before reaching Lower Granite Dam. The letter went on to say that reservoirs sustained temperatures in excess of 20 degrees Centigrade (68 degrees Fahrenheit) with a high temperature of 26.2 degrees C (79.1 degrees F), resulting in what the groups say was the "unauthorized 'take' of ESA-listed Snake River sockeye." If that happens again in 2016 or 2017, sockeye could be pushed "to the brink of extinction and erase progress made to recover this distinct population segment," the letter says. "Anticipating and preparing a course of action is essential, and justifies immediate implementation of measures to prevent a repeat of the 2015 fish kills in the event of similar conditions in Summer 2016," the groups told the Corps. "If the Army Corps fails to adopt and implement emergency measures, it risks causing further massive fish kills, unauthorized take, failure of mandatory legal duties to protect endangered species, and jeopardizing the continued existence of the Snake and Columbia rivers' salmon and steelhead populations in 2016 and future years," the letter concludes. 96 percent of adult Snake River sockeye that reached Bonneville Dam in 2015 died without passing over Lower Granite Dam. "Elevated water temperatures in the Columbia and Snake rivers, including adult fishways, is a long-recognized problem that to date remains largely unmitigated." "Fish ladders often expose migrating adult salmon to the highest temperatures and thermal stress encountered in the hydrosystem, due to warm surface water used for ladder flow." "Fish ladders that use warm surface waters that flow into a cooler tailrace have a high thermal gradient, which affects migration through the ladders." In 2015, adult Snake River sockeye that had been trucked or barged downriver as juveniles died at significantly higher rates when migrating upstream than adult fish that had migrated in-river as juveniles. Some 35 people signed the letter to the Corps representing Columbia Riverkeepers, Advocates for the West, American Rivers, Endangered Species Coalition, Fighting Goliath, Friends of the Clearwater, Great Old Broads for Wilderness, Idaho Rivers United, Natural Resources Defense Council, Northwest Sportfishing Industry Association, Sierra Club, Save Our Wild Salmon, Snake River Waterkeeper and Whale and Dolphin Conservation.